Phoenix Thermal Supply has been designing and manufacturing custom engineered high temperature electrically heated ceramic fiber modules and components for a combined 40+ years. We currently supply several hundred different heater designs to more than forty equipment manufacturers and hundreds of end-users in the Industrial, Laboratory, Hobby, and specialty heat processing markets. 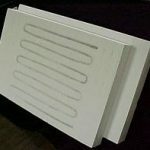 Our Electrically Heated Components such as Panels, Modules, and Cylinders come in a variety of standard & Custom thicknesses and sizes. They can achieve chamber temperatures up to 2200 F and watt loadings to 3 KW per sq. ft. of heated surface area depending on element design and material selected. Reduced Energy Consumption •Low thermal mass and low specific heat results in very low heat retention. This lowers the amount of energy absorbed and retained by the insulation providing more energy to heat the work. Results in lower power requirements and longer element life. Reduced Cycle Times •Low thermal mass and excellent resistance to thermal shock results in shorter heat up and cool down periods. Economical Designs •Low density (14 lbs./cu.ft.) 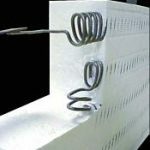 and excellent insulating properties enables the wall thickness and weight to be reduced resulting in a lower installed cost. 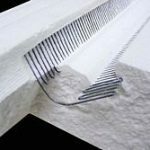 Let our experienced staff of technical specialists assist you in finding the right solution to your refractory insulation and electric heater applications. We have extensive stock designs of Ceramic Fiber Heaters. 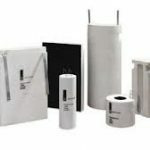 The standard offerings include: Semi-Cylindrical, Flat, Round, Custom shaped Ceramic Fiber Heaters. These heaters are commonly used in Furnace Heating, High Temperature Tube Heating, Clam-Shell Oven Tunnels, Lead Pots, Transfer lines, Semi Conductor machines, Enamel Towers, and Catalysts.